We see thee not, thou humble fly! Nor think upon thy gleaming wing. For sparkling o'er the dreary way. To cheer, if not to warm, the gloom! 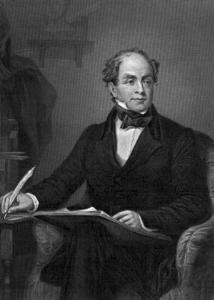 Thomas Moore (1779 - 1852) was an Irish poet, composer, and songwriter who enjoyed both fame and financial success from his writing throughout his lifetime. Though Irish by birth, Thomas lived most of his life in London; nonetheless, he is considered Ireland’s national poet. Fond of a good time, Thomas avoided prison at one point by moving to Bermuda until his debts in London could be paid. He was a close friend of Lord Byron, internationally known for his songs and poems and, at one point, Edgar Allan Poe pronounced Thomas "the most popular poet now living". Fireflies were not part of my growing up, but I love the poem. Sri Lanka is firefly heaven. Millions of them - they look so beautiful in palm trees. Quite magical. Loved them as a child, but have not seen any since living in Florida. Too bad the children here are missing their magic! A perfect poem for today. Thanks! Fireflys! Magic as a child. Magic to 'warm the gloom' now. Thanks, Jayne.